From a serious craving for BLT Prime Popovers to the improved version Cheesy Popovers now come my Cheesier Popovers! Cheesier indeed because I'm using two- not just one Irish cheeses. 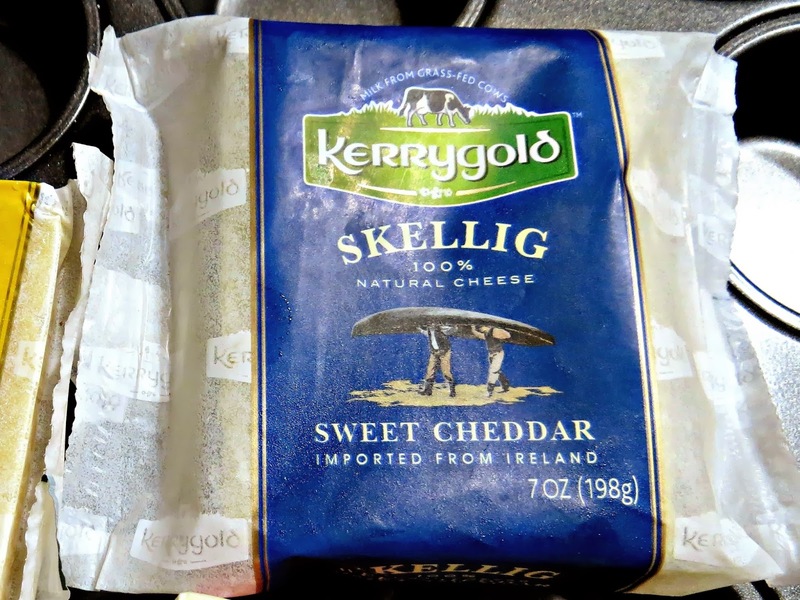 I love using Kerrygold Dubliner for baking but I discovered its sister Skellig. Looking back, I thought I stumbled into this cheese just recently but I realized it has always been there with the rest of Kerrygold products waiting for consumers; to be taken! I was curious because it has a Sweet Cheddar label. Dubliner has a hint of sweetness too so I want to taste the difference. Well, I was hit by a wonderful sweet aroma right when I tore open the packaging. It has that crumbly texture which should be ideal for cooking or baking. It is indeed sweet but not sugar sweet. It is rather savory and rich and has that delicious distinct taste I can't explain. Place the muffin pan in the oven. Heat the oven and pan to 350 degrees. Gently warm the milk over low heat and set aside. 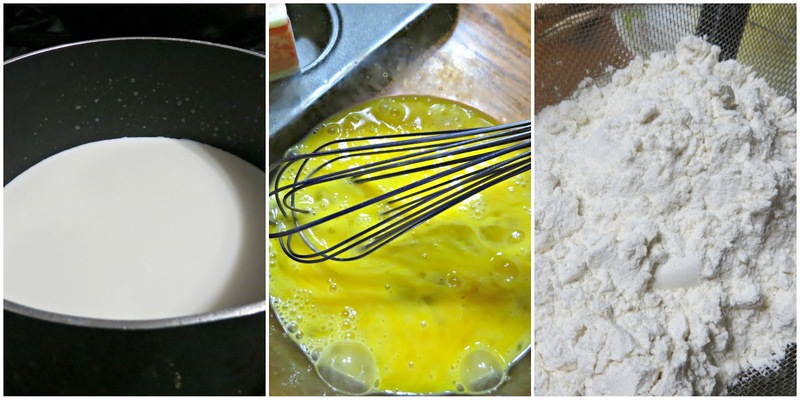 Whisk the eggs until frothy and slowly whisk in the milk (so as not to cook the eggs). Set the mixture aside. Sift the flour then slowly add to the wet mixture. Gently combine until smooth. Remove the popover pan from the oven and using unsalted butter grease LIBERALLY the top as well as inside the cups. While the batter is still slightly warm or room temp (definitely not cool), fill each popover cup 3/4 full. 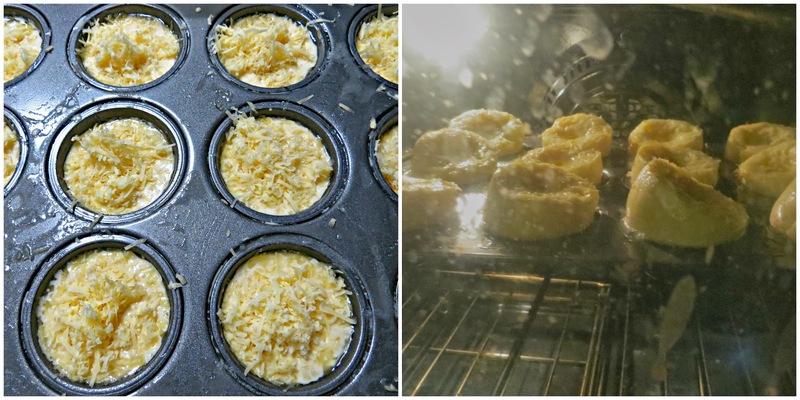 Top each popover with approximately 2 tbsp of the grated cheeses. Bake at 375 degrees for 40-45 minutes, rotating pan half a turn after 15 minutes of baking. Remove from the oven, remove from the pan then poke with a sharp knife to release the steam. Serve with your favorite fruit jam. The popovers may be reheated in the oven at 350 degrees F for a few minutes. I can't help looking as they pop over and turn golden... and then finally, they're ready! I did not forget to poke each beauty with a chopstick to release the steam. They're just cheesy shells with just a little meat inside! Strawberry jam makes it yummier! 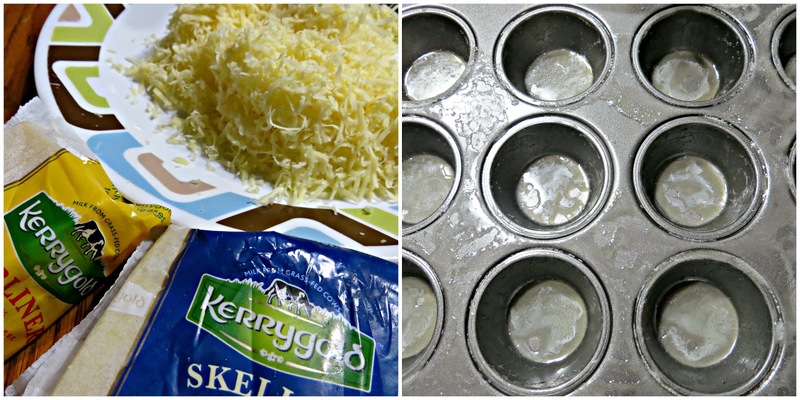 There was leftover batter so I used ramekins which I buttered generously and topped with lotsa cheese too! They're even taller and popped more! What a nice way to end the month. Rainy Friday it is which is perfect for my steaming, cheesier popovers to go with my favorite tea!